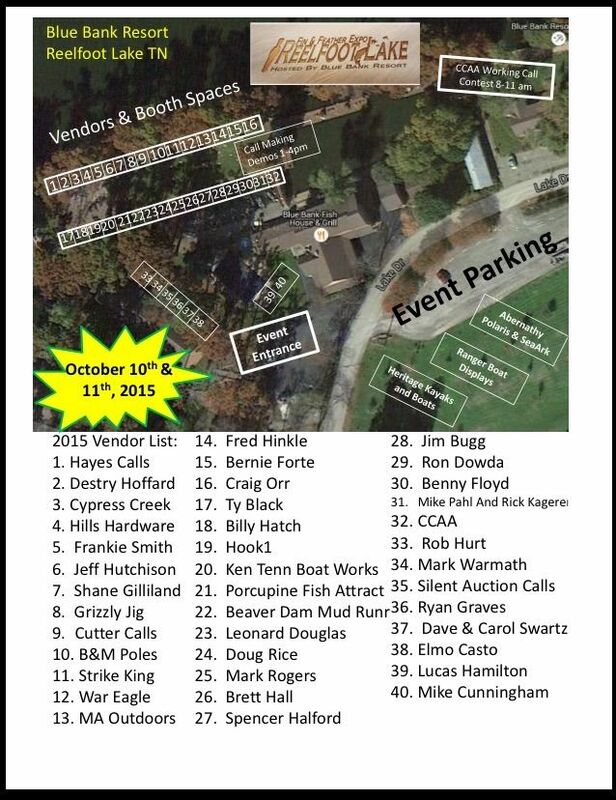 Here's the layout of the vendors and events this weekend at The Blue Bank Resort on Reelfoot Lake for the Fin and Feather Expo. Mike Hayes has done a great job getting everything set up for us, and the weather looks like it is going to be wonderful. Hope to see everyone there! !